Starting a food truck is a chance for chefs to take their specialty and bring it to a new demographic. For many, starting a food truck is lower-cost option to opening a restaurant. For others, it helps an already established brick and mortar restaurant branch out to new neighborhoods or expand a catering business. Regardless of your motive, it’s a job that requires culinary skill, creativity, innovation and a talent for marketing. 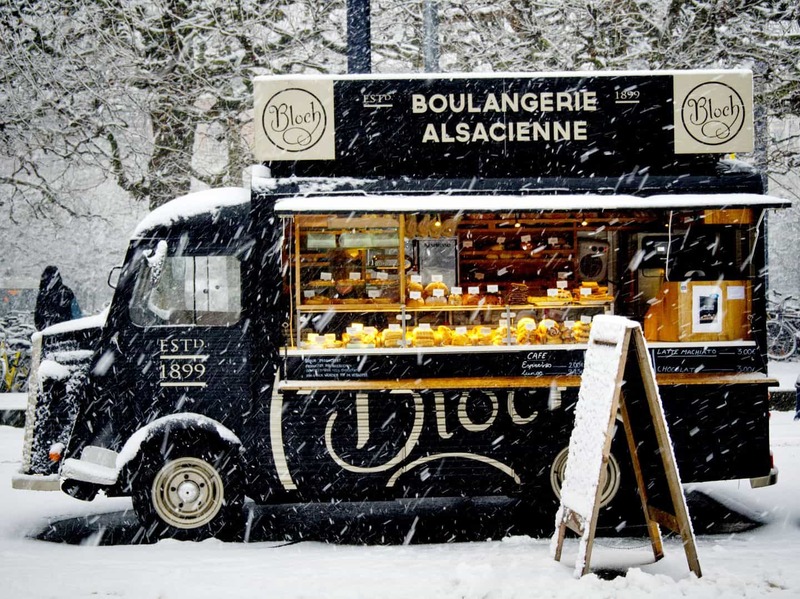 So, what does it really take to start a food truck? Read below to find out. According to FoodTruckEmpire.com, the average amount of money it takes to start a food truck business can run anywhere from $28,100 to about $114,100 and that’s just to get the truck on the road. That is before adding up and estimating monthly expenses that include labor, insurance, food cost, gas, kitchen rental, etc. The good news is that often, owning a food truck will likely cost less than opening a restaurant. On average, it’s a less expensive option, but depending on your truck payment, insurance, gas, product and labor cost, you might just break even. Make sure you do the research on your monthly expenses and compare rent or mortgage rates in various neighborhoods to your truck payments. A truck payment on top of insurance and gas might be equal or less than a rented restaurant space and utilities in your city. The key is to know exactly what your financial commitment will be before taking any big plunge. While many cities have welcome the food truck industry with open arms, there are a variety of laws and regulations that you might not know about and might not have considered. While the food truck industry has a large potential, it can only be fully met when the local government is also on board with helping those in the food truck industry. Depending on regulations, it may or may not be worth your time and money. It’s more than just a food permit and insurance. Other licenses, permits and government requirements you’ll need might also include an employer identification number, a business license, a vehicle license, a seller’s permit, food handlers permit, health department permit and/or a fire certificate if cooking on board. This is one area where you want to make sure you have crossed all your “t’s” and dotted all your “i’s”. Forget about cupcakes and hot dogs. Most profitable food trucks serve well-thought out cuisine that offers something different and original. A unique item that can only be acquired at the food truck. This area, more than any other in the food industry is a place where trends stand out. Food truck trends that are on the rise include worldly street fare, vegan cooking, mobile chocolates and unique desserts. The key to success in the food truck industry is finding your niche and becoming an expert. Do research to find out what trucks are already out there in your town or city. Already have your concept? Come up with a creative way to stand out. Consider creating a character or selling your fare in costume. Catchy truck names are another way to stand-out. Consider using a pun or a pop culture reference to add a little whimsy to your business. Being successful in the food truck industry takes more work than just cooking food and getting on the road, it takes a clear marketing plan. Invest in setting up a website that tells the story of your business, shows off your menu and allows potential customers to contact you. Most importantly, post your weekly schedule and stick to it. This will allow customers to give you repeat business. In addition to a website, set up a Facebook business page and consider utilizing the advertising program to help reach more potential customers. Instagram can be a great tool as well. By posting pictures of your menu, truck and engaging with your following, you will create an instant customer potential. Twitter is another useful tool, it’s great for letting your followers know your daily schedule. It seems almost too obvious to state, but where you will be parking your food truck is more of a consideration than you might think. It’d be great if trucks could just put a song on loop and drive slowly through neighborhoods until people run up or chase them, but sadly the food truck industry is a little different than owning an ice cream truck. When you own a full-sized vehicle, you’ll discover some new skills. For instance, on a day to day basis, where can you park your truck and sell your fare legally. How much competition is there? How many spots are offered? Is it a profitable spot? How long can you park there? There are many in’s and out’s of driving a food truck, parking it and operating it as a business. It’s also important to consider where you’ll park it when you aren’t operating it for business. Can you park it on the street? Will it be safe overnight? In some cities, the health departments require food truck vendors to park only in approved areas with refrigeration and electricity. Make sure you have a safe place to put your truck at the end of the day.